Features two shepherds and their flock outside the gate of Bethlehem. Finished size 12cm high. 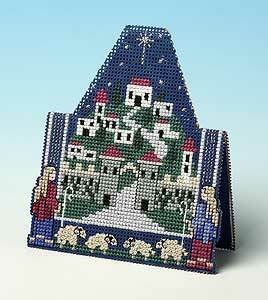 Shepherds' Christmas is also available in our Christmas Card Pack - Blue selection .